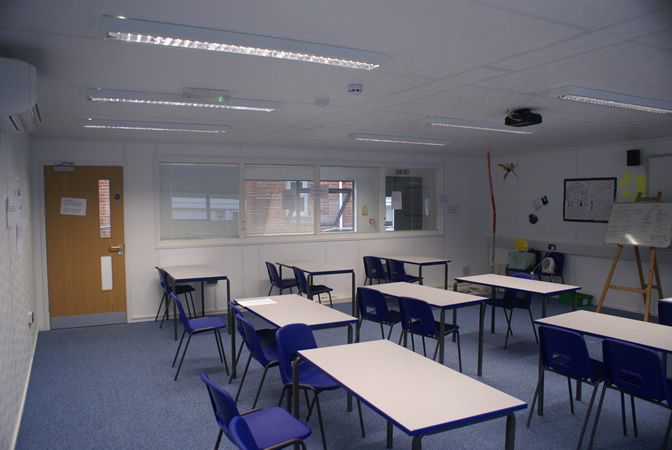 Helping you provide outstanding learning environments by upgrading or supplementing your facilities to incorporate new or refurbished modular academy classroom buildings. 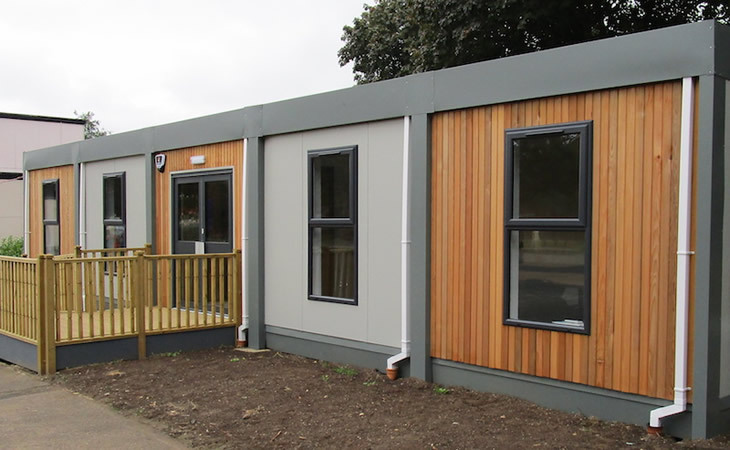 Suitable as temporary, semi-permanent or permanent accommodation for schools, our modular classrooms are a robust, durable and highly cost-effective solution to many of the challenges facing academies today. Mobile classrooms are an ideal solution for academies' growing pupil and student populations, and can also be used to efficiently create specialist learning environments for subjects such as science, music, dance, drama and food technology. Portable buildings can also be used to create additional living accommodation for staff while existing housing is refurbished or as a longer term or even permanent solution. 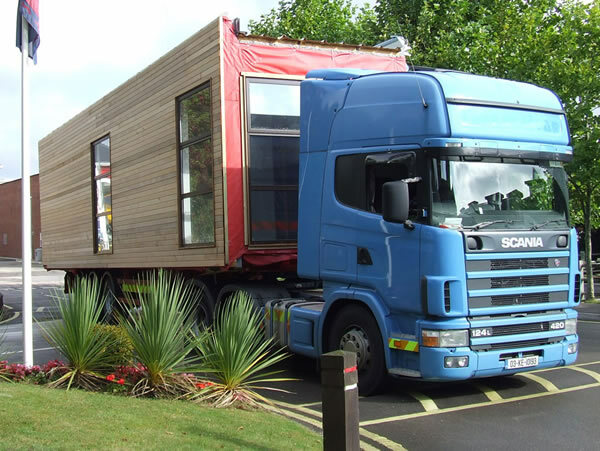 From our base in Hampshire, Portable Facilities has been providing modular cabins and buildings to a wide range of customers, including academies, since 2005. Past projects include everything from a single refurbished unit to a brand new bespoke or multi-storey complex - so no job is too big or too small for our highly experienced team. We understand the demands of the education sector and the challenge of managing over extended resources, and we offer a full, turnkey service to help head teachers, governors and school business managers navigate the complex legislation and regulations right through to project delivery. Our full service package is tailored to provide your academy with as much or as little support as you require, from planning permission, site preparation, groundworks, Building Regulations, interior fit out, exterior cladding, logistics, transportation, crane hire and full site installation through to regular on-going maintenance. Our portable, modular academy classrooms and educational buildings are constructed from a steel frame in our quality-controlled production facility, with installation typically taking only 1-2 days of work onsite, keeping staff and pupil disruption to a minimum. With years of experience in the construction, transportation and installation of portable, modular classroom buildings, and enjoying a well-deserved reputation for providing a flexible and efficient service, we are confident we can help transform your shortage of space into a cost-effective portable classroom solution. All Portable Facilities' staff are fully trained and insured to maintain our high standards of health and safety. Contact us for fast, quality and honest advice.